← Can my mortgage company foreclose during my short sale? 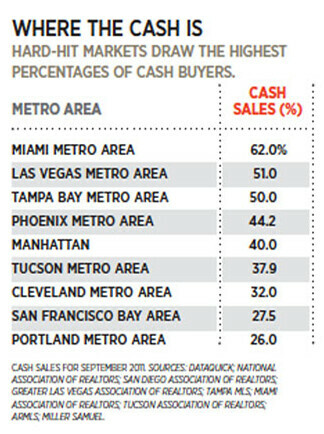 The cash-is-king phenomenon is being reported by Realtors across the country. There are many benefits to paying cash in a closing transaction. If you’re considering a cash purchase, here are some pointers. Lower Purchase Price – Cash buyers usually always get a discount! It is very attractive to sellers to see cash offers. This means the likely hood of closing the transaction is a lot better than an offer with a financing contingency. Quicker Closing – Paying with cash also speeds up the process. The average closing time on a transaction with financing is 45 days. Posted on September 6, 2013, in Title and tagged Buy a Home, Cape Coral Title Company, Fort Myers Title Company, Jennifer Ferri, Property Guiding, SWFL Real Estate, Title Insurance, Title Junction, Title Work. Bookmark the permalink. Leave a comment.